Adventure Outfitters supply a wide range of promotional garments from specialist raft and jet boat operators selling “the experience” to their clients to logo hats and t shirts sold as fund raisers by clubs schools or teams. Whether it is funding a new sports uniform or a school sports team trip fundraising is an essential part of club and school life. Often this requires huge work for little return. We have over the years developed a risk free alternative to fundraising. The school or club decides on a promotional style. 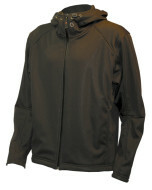 In the past this has invariably been a fleece or T/shirt but with the changing fashion the most popular styles now are soft shell jackets or merino tops. 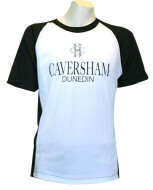 Once the style has been agreed we provide a size range for the club to order from. There is no need to place an order in advance and risk having excess residual stock. The idea is to offer the promotional clothing to club supporters and parents at a discounted rate and yet allow the club or school enough “fat” to make a reasonable contribution to the fundraising. 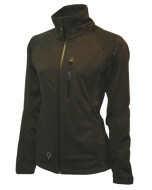 The merino and soft shell styles are particularly attractive. We get many compliments and repeat orders on these promotional styles. If anything the only criticism is that they are too well made and last too long! Promotional clothing can also be used as a “Thank You” to valued customers. For instance radio stations signing up their annual contracts with their valued customers. Again this will be made from high quality fabric in a fashionable range of styles for companies who want to offer their good clients something a little different. 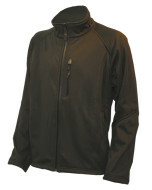 Adventure Outfitters specialize in quality outdoor wear. We therefore supply many tourist operators with their own work uniforms. We compliment this with producing promotion garments for sale to their customers. This works well for the likes of jet boat operators, kayak guides, Glacier guides etc. Adventure Outfitters have been making promotional clothing, sports uniforms, school uniforms and work wear for over 20 years. 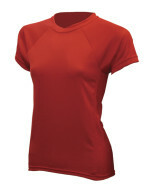 We also import a huge range of garments. This allows us to provide our customers with a complete one stop clothing solution. 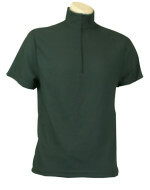 Many of our customers are looking for uniforms as well as promotional clothing. 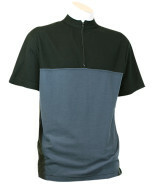 An imported t/shirt or a light weight merino may be appropriate choices for the staff when they are in the office. This may need to be complimented by a quality ‘soft shell’ jacket when they are working outside. This applies to our ski field operator customers, our real estate customers. A cap or screen printed t/shirt maybe all that is required for promotional clothing. By offering both the imported styles and local production we can provide a greater choice to cover all of their needs. This choice also allows a direct quality comparison so our customers can make a more informed decision. We have a huge range of promotional imported caps at very competitive prices. We produce hundreds of beanies and even do “funny hats. ” We offer an in house monogram service that means we can handle small quantities for individual teams still at realistic prices. After many years of searching Adventure Outfitters has finally come up with a t/shirt that we are excited about. The colour range is extensive. The cotton fabric is high quality. The neck line is well made and won’t sag after repeated washing. Most importantly the price is very competitive. Again we offer a one stop shop. We can handle any screen print or monogram requirements. 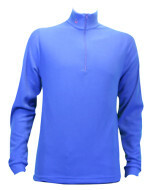 Merino has proved to be a very popular for promotional clothing as well as work wear uniforms. After 20 years of practice we have become very proficient at developing the right style and fit. In local production we can cater for any size requirements from teeny tiny to very very big, and any combination! Merino has taken over from fleece to a large extent however fleece is still a very competitive practical option. Fleece beanies and lightweight micro fleece are still very popular options. We have developed a philosophy of constant change; we cannot afford to stand still. This positive, aggressive attitude to change means we are now part of an elite dwindling group, one of the few remaining clothing manufacturers in New Zealand. We love the challenge of working with new fabrics and developing new styles. Our in house expertise, and the number of existing styles and patterns we have developed over the years, means that we can quickly and efficiently determine what will meet your own promotional clothing, work wear and uniform requirements. Our local manufacture means that we can make styles specifically for your needs. This year we have enjoyed the challenge of making a range of promotional clothing for sale at Scott Base! This range proved to be very popular and quickly sold out. However most of the styles were local manufacture so we could top up their orders to maximise their return. Sublimation We have recently added a completely new way of making promotional clothing and sports uniforms, using high tech breathable fabrics. This is called sublimation, and is a high tech digital printing method that allows you to design on a computer the exact look that you want. This is especially valuable when you want a wow factor to your promotional garments, when in the past screen printing or monogramming were the only options. Sublimation allows a better cleaner look at a lower cost. All of the top international sports team uniforms are now sublimated. This applies to the high profile rugby, rugby league, soccer, cricket, netball, hockey and other teams. It is also being used extensively in brand or logo promotional looks. The clarity of the digital printing allows the frosting on a bottle of beer to come out as clearly as if it was printed on paper. You can now capitalise on these latest developments and allow your promotional garments or uniforms to have a unique wow factor unavailable in the past. We are proud that we are one of the few surviving manufactures of New Zealand made promotional garments, work wear, outdoor wear and sports uniforms. We have survived to date due to the support of our customers. We get this support by developing a close relationship with them, working out what is most important to them and then doing everything we can to meet their requirements. We want you as our customer as well. If you support us with your business we commit to you as well. Our commitment is to do whatever is in our power to provide promotional garments, work uniforms and work wear that is entirely suitable for your needs in terms of delivery time, price, design, colour and size. Durability, and last but not least, ongoing top up orders and repairs.